These lovely bottles of French merlot, Blanc de Blanc and Champagne come with a personalised label designed by you and a lovely wooden engraved box. 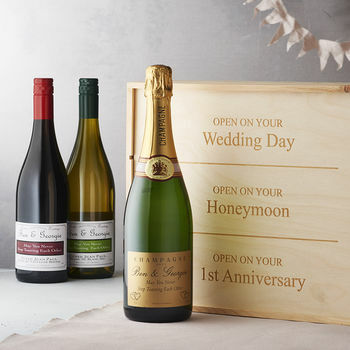 Perfect as a wedding gift, we have selected finest bottles of wine and champagne so you can simply add any name/message, and it will arrive tissue wrapped and ready to be given to the happy couple. Please state the name for the bottle as shown in the image above (up to 50 characters). Merlot: 12.5%, vol 75cl; Blanc de Blanc: 11.5%, vol 75cl; Champagne: 12%, vol 75cl. Please drink sensibly at all times. 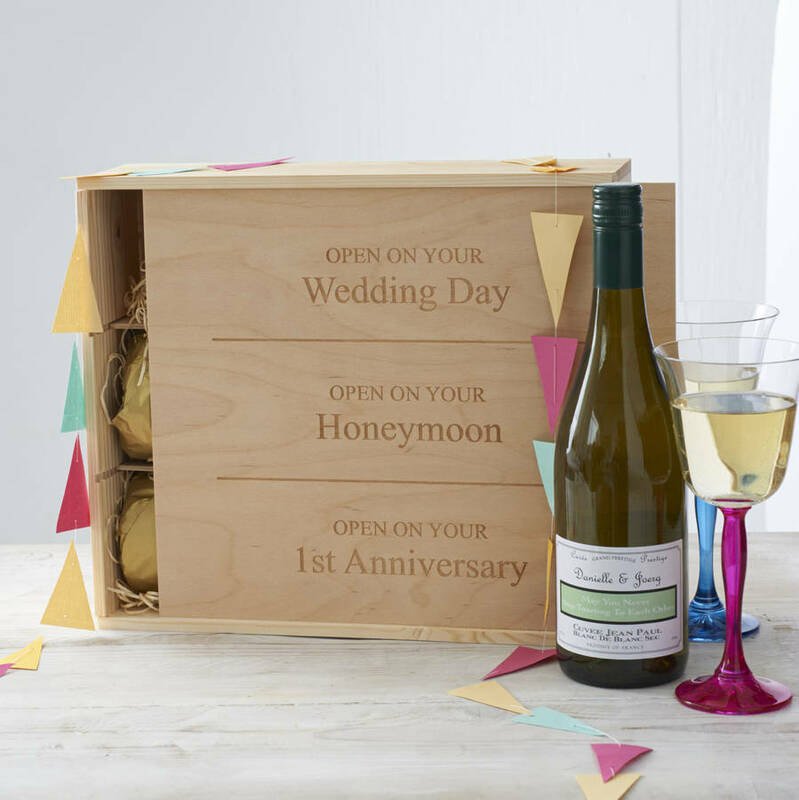 Wooden box and glass bottles of red, white wine and Champagne. Three 75cl bottles of wine.